SRForce depicts the strengths of support and resistance levels. As the blue line (support line) approaches or crosses the zero line, it indicates that a support zone is near, and prices are likely to bounce back. Similarly, when the red line (resistance line) approaches or crosses the zero line it indicates that a resistance zone is near, and prices are likely to change its direction. The greater the difference between the red line and the blue, the higher the difference between support and resistance, meaning higher market moves. Thus, you also use this indicator to assess market volatility. 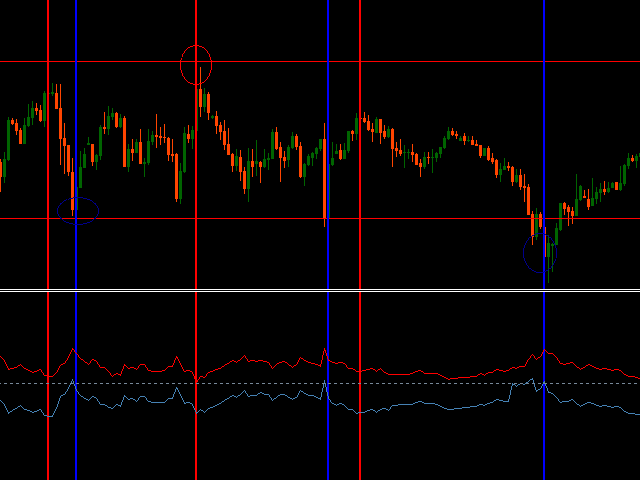 For better performance, it is recommended to use this indicator in a trendless environment. 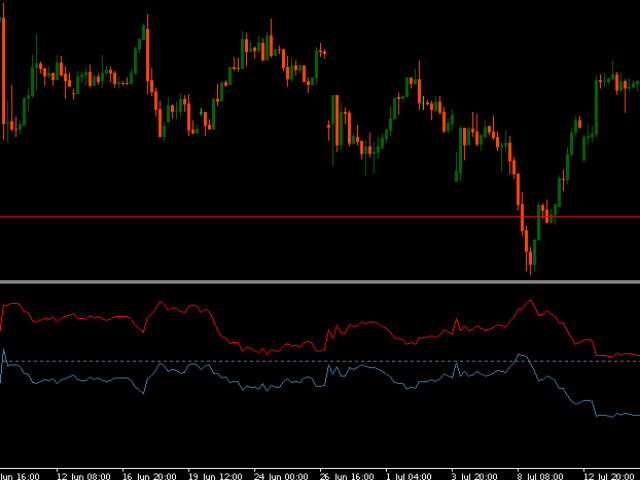 To that purpose, the use of indicators such as ADX or ADX Wilder can greatly improve the results. it is hard to understand the signal. Maybe need other filter. Сигналы требуют фильтр. У продукта есть перспективы. Надеюсь автор его доработает. Три звезды мало, Четыре много. Заочно ставлю четыре звезды.